When I visited the Caol Ila distillery it was morning time. Not first thing, you understand, but certainly a spot earlier than you would expect to find yourself in a distillery shop with an exceptionally kind individual encouraging you to sample their whisky. Having said that, I was not particularly hard to convince. My stand out memory was trying the Moch. It was the first one poured for me and it came with the following advice - "this would be a good light breakfast whisky". I looked for a hint of a smile or sarcasm but none was there. A breakfast whisky? I was on board. The distillery nestles by Port Askaig to the North-East of the Island, right beside the Sound of Islay, after which this distillery takes its name ('Caol Ila' being the Gaelic for 'Sound of Islay'). You would be forgiven for driving straight past the distillery if you were not told where to go as it sits hidden behind the cragged coastline to the point that the distillery itself refers to their location as a 'hidden bay'. The Sound, which is the narrow straight of water that separates Islay from Jura, used to be the lifeblood of the distillery. This waterway was used by the coal-fired 'puffer' boats which supplied the distillery with coal, barley and empty casks while also drawing away the whisky it produced. This particular expression is notably from the Langside Distillery and is part of the Hepburn's Choice range. The casks for this selection are chosen to display the traits of an individual distillery or region and is named for William Hepburn - the Distillery Director's Grandfather who was partial to a fine Scotch. Nose: Insofar as this range highlights a region, this hits the nail on the head. Unmistakably an Islay from the peat notes. It also embodies the distillery more specifically, being that the peat isn't as pungent as the Southern Islay distilleries. Leather and a note of salt. I also got creamy vanilla after adding a couple of drops of water and searching. Having left the empty glass sitting and as I type I noticed an interesting smell in the air - the aroma in the glass was of salty ash - reminded me of a cigar in the best way. 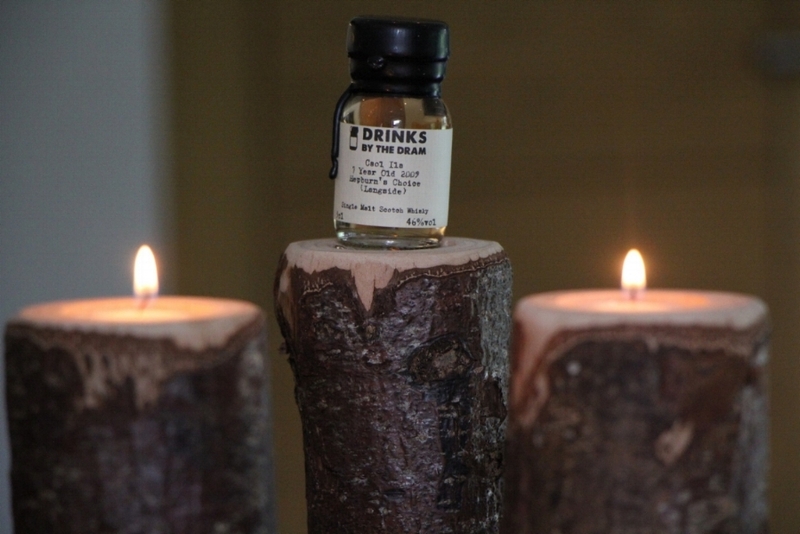 Taste: Peat is very prominent and untamed, as is to be expected in a young Islay. Slight fruity sweetness is in there as well and becomes much more prominent with the addition of the water drops. Finish: Medium in length and smokey. Slight sweetness hints at the end - the official notes say white chocolate. I'm not sure I got that, but I get the direction in which they were going. All in all, a very enjoyable dram that would be a good gateway into Islay for those not ready for the smokiest drams the island creates.